Barbecued sardines. 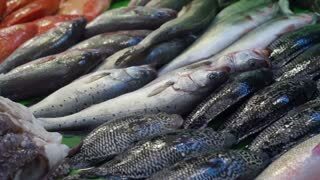 Preparing and grilling fresh and delicious Sardine fish. Preparing fish food in camp in nature. Tuna cut into pieces lies on a gray marble table. 1930s: CANADA: cannery workers pack fish into cans. Sardine packer. Man carries tray of fish. 1930s: CANADA: ladies pack sardines into cans. Packed in like sardines. Cans filled with sardines. Man loads tray onto conveyor. 1930s: CANADA: net of fish in skiff. Skiff full of sardines. Fishermen pull in nets. Sardine Runner collects catch from weir. 1930s: CANADA: model of a sardine weir. Weir made from brushwood. Bay of Fundy weirs. 1930s: CANADA: man fills bucket with fish. Fishermen unload sardines at cannery. 1930s: CANADA: sardine runner takes fish from weir to cannery. Man with boat full of fish. 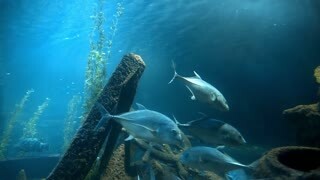 Sardine cannery. 1930s: CANADA: fish specimens. 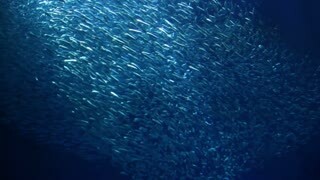 Capture of sardines. Brushwood weirs. 1930s: CANADA: fishermen pull rowing boats towards weir. 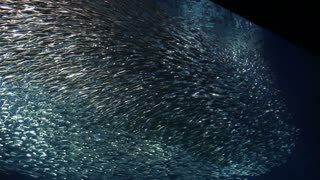 Fishermen encircle sardines with net. Fishermen with sein. Fishermen purse net. 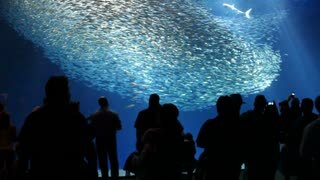 A close up video of Pacific sardines swimming underwater at the Monterey Bay Aquarium in California. 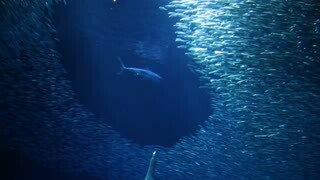 A large school of Pacific Sardines swimming around in circles at the Monterey Bay Aquarium's Open Sea Exhibit. 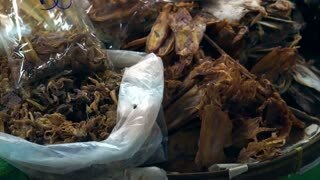 Fresh sea fish on a market. Seafood market. Sardines on ice for sale on the street. Fishmonger selling fish and seafood. Display of Pilchard. Fishmonger sold fresh fish.